The winners of the third annual CREATE! Art for Autism awards have been chosen from a field of over 800 entries showcasing the best in autistic art. CREATE! is open to youngsters between 11 and 25 with an Autistic Spectrum Condition (ASC), celebrating their often overlooked creativity and rewarding them with a digital tablet and CREATE! artbox for their school or organisation. One of the main 5 winners was 19-year-old Michael Gregory, who triumphed in the 3D Art category with his work Bullet Chess Pieces (pictured). 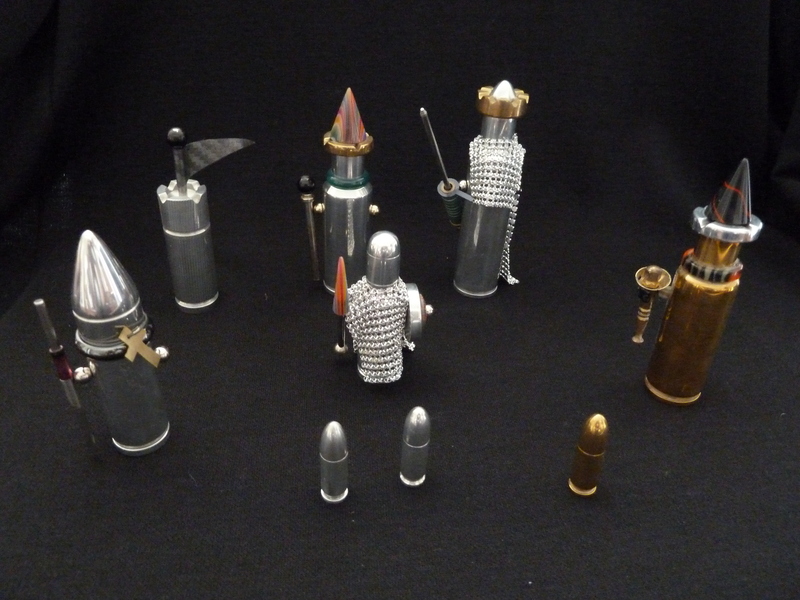 After receiving his award, Michael said: “The design for my chess pieces originated from an interest in military hardware which took the form of bullets. From this inspiration I created a unique shape for the individual pieces adding decoration to give each piece identity." There was also a People’s Choice Award, made by online public vote, which went to 14-year-old Callum Smith with his photograph of his dog Titus Twinkle Toes. All entrants received a certificate of creativity, the 41 finalists received a £25 Amazon voucher, and all those highly commended received a £50 Amazon voucher. Jane Asher, President of the National Autistic Society and renowned actress and author, said “This is the third year of CREATE! Art for Autism and the standard just gets better and better. "It’s so difficult to judge these tremendous pieces of work against each other, but we were there to find winners, and are very pleased with the selection we’ve made. It’s truly inspirational to see how much creativity oozes out of these autistic young people, and enabling them to express themselves through art makes this competition such a worthwhile project."